Medical Associates of Fremont, INC. (Fremont) - Book Appointment Online! 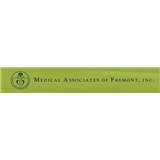 Medical Associates of Fremont, INC. Welcome to Medical associates of Fremont Inc. We look forward to providing you the most complete medical care possible including yearly physicals, diabetes care, hypertension management, cardiac stress testing, dermatological care, and same day scheduling. We do prefer to have patients establish to our office before doing yearly physicals. This allows us to order the appropriate testing and discuss at the time of the physical. Hi Dr. Subana is very nice with patients. Wow, such a great doctor! Got straight to the point, asked me what I needed, got me out the door lickety split. Best doctor's visit ever!